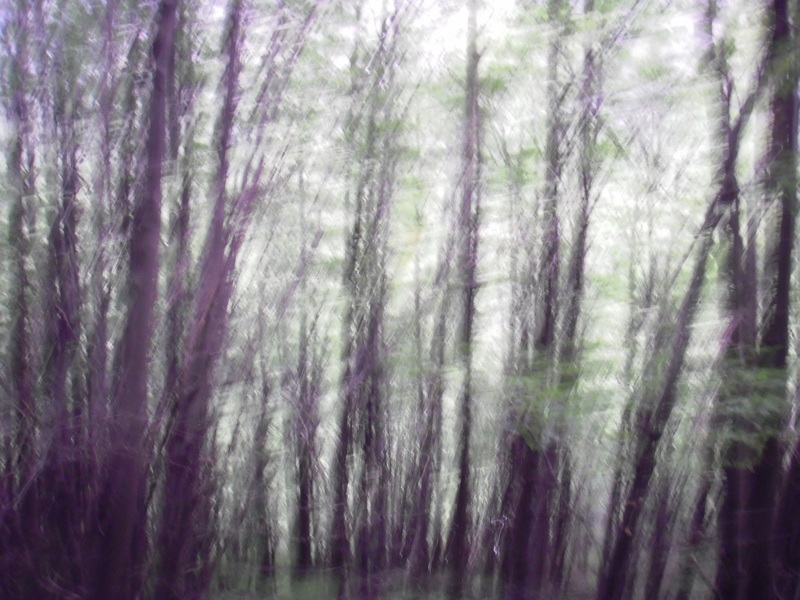 An age without cartography : Imagining an escape from the forest in which we are lost. Sometimes it feels so overwhelming. I look around and see the day to day skirmishes in the war of capital and privilege vs. people and planet and love and critical thinking, and wonder: is there a way through? I wish I could say I have a clear answer to that, but I don’t. I do, however, think there are some chinks of light, and they give hope. The title, a slight modification of the beautiful words of Michel Onfray, sums up the challenge. We´ve gone through a political transition in the last decades, with a neoliberal-conservative alliance squaring off against socialism. Painful though it is to say, socialism appears largely to be a spent political force. Blame Blair, Clinton, Tsipras, whoever. It´s absurd that left protest these days is often about “stopping cuts”, i.e. keeping things the way they are. We´ve become reactive and even, dare I say it, a bit reactionary. Of course there are exceptions, but ideas that forty years ago were mainstream left are now decried as extreme. The battlefield of ideas has shifted to the right, and it´s not a good thing, not at all. The alliance between neoliberals and conservatives, though, is an alliance of convenience. They are far from obvious bedfellows. Sure, there are some things they agree on: hierarchy, privilege, concentration of private property, dominion over the natural world. This has been enough for them to agree joint actions, even if their roots are in different places. But there are fault lines too. Immigration, personal freedom, tradition, community, to name a few. These fault lines provide some crevices of hope, as we shall see. This political environment is quite different to 40 or so years ago, and it feels like an intermediate stage leading to something else. I have hope that what we are moving to, eventually, will be a world of love, cooperation, mutual assistance and joy. However, the present time and our immediate future doesn’t look so good: we find ourselves in is a disastrous, dystopian situation, and it seems we are (almost) powerless to change it. We are sleepwalking into an ecological crisis. The earth is being consumed at an ever increasing rate. 21st century life is clearly unsustainable even for the relatively small segment of the human race that has first world levels of consumption now. Expanding that level of consumption to the whole human race is patently impossible. Neoliberal capitalism is coherent within its own terms, but insane viewed from a planetary perspective. Ultimately, as we seem incapable of regulating ourselves, it seems likely that nature will regulate us. Forces against personal freedom – religious and secular – are increasing their reach, particularly among the poor and less educated. Conformity is increasing in much of the world, in part accelerated by the resurgence of nationalism and populism. This toxic conservatism is against intelligence, women, bodies, passion, desires, life, and wide reading. Control of the means of information is now more important than the means of production, and consequently there´s a war being waged against critical thinking. Schooling is increasingly resembling livestock production: training rather than education. “Post truth” isn’t, as some conservatives like to say, a consequence of postmodernism run riot – it´s a consequence of this war against critical thinking. Democracy has been bought. While there are some exceptions, it´s clear that most politicians are blatantly self interested, and many are corrupt (the distinction between legal and illegal corruption is a mere curiosity). Politicians have morphed from visionary leaders into experts in the technical methods of obtaining a majority and validating a false sense of participation. Fundamental change through democracy, sadly, needs to be relegated to the fantasy box. Attempts at change using other methods, non violent and violent, have resulted in replication of the old superstructures of governance with minor variations. Protest is patently failing to stop the march of economic neoliberalism. At best, with a lot of effort, things can be delayed. Neoliberal capitalism is not interested in compromise, and it is relentless. It´s only a matter of time before the ANWR is drilled, fracking expanded, roads and pipelines run through indigenous lands, etc. This doesn’t deny that there are success stories and battles won, but we can´t delude ourselves that we´re winning the war. And protest itself has been recuperated, turned into spectacle, absorbed by the octopus, converted into profit. Occupy is now a hipster t-shirt slogan. The majority of humanity toils under the brutal quotidian reality of globalized economic liberalism, dignity long since sacrificed to the struggle to merely survive. The already rich, the order-givers innovating ever more rapacious wealth extraction, tell the order-takers to be grateful for the few crumbs that fall from the groaning banquet table. These crumbs are presented as conclusive proof that trickle down economics works. Economic expansion is now less about geography and more about incursion into even greater parts of daily life. Hospitality, friendship, love – those oases of gift – are slowly being eroded by quantified exchange, colonizing everyday life and turning it into a market. Beautiful, idealistic Couchsurfing is gradually being polluted by advantage seekers, and AirBnB appears as the answer, separating host and guest through the medium of money. Neoliberalism stands in direct opposition to community and mutual aid. Conservatism´s version of community offers a sprinkling of humanity in exchange for control over life – compassion is only on offer to those who conform. I have no desire to achieve homeostatis in such a dystopia. I want to live, not consume. I want to love, not merely survive. I have no desire to dominate or be dominated, nor to compete. I am unwilling to be hierarchical. I refuse to mistake historically conditioned effects for universal essence or human nature. So, what are some possible responses to this situation? The power of the dystopia comes from it owning the environment in which we live – cities, information, discourses, media, education/training, the state monopoly on violence. We are to a significant extent products of our environment, and we live within our environment as within polluted air. To free ourselves from this pathology of life we need to step outside the environment as much as we can. Neoliberal individualism, while part of the pollution, is a useful gap in the suffocating smog of conservatism and the tedium of every day life in late stage capitalism. In practice it´s primarily mediated by money (of course it is …) but not totally – there are possibilities. It´s important to be clear here. I am not advocating neoliberal individualism as a solution. It isn’t. It´s a part of the problem, leading to separation, isolation, anomie, dehumanization of relationships, anonymization through money, selfishness … the list goes on. What I am suggesting is the possibility of using neoliberal individualism to get outside of the neoliberal-conservative alliance and into some fresher air. The most basic way to utilise individualism is to remain largely under the radar. Neoliberalism is fine with individual expression that doesn’t seriously threaten it, trivialising it as lifestyle (indeed, it is seen as a profit opportunity – anyone for a t-shirt?). One can fairly easily live a life with a high degree of autonomy, in accordance with your own ethics, managing your visibility based on the prevailing political climate. Online has made this even easier, as there is no need to physically advertise your way of living in order to find others of a similar mind. It helps to live in a place without heavy controls, a place not actively oppressing the way you want to live. One option is living in a place without strong surveillance, not exceptionally conservative, in areas of limited industrial / economic development with little expectation of that changing in the future. Examples might be a smallholding in rural Peru or Costa Rica, a cottage in the hills of La Gomera (Canary Islands), or a jungle hut in French Guiana. Low visibility is automatic because of remoteness. Another option is living somewhere more (neo)liberal and less conservative. Major cities like New York, Amsterdam, Berlin, Sydney. It might require a dual existence, wearing a mask at work and in public, revealing your preferred self at home or with friends. Essentially this approach consists of “passing” as externally non-threatening, while living in accordance with your own ethics and desires. Hiding in plain sight, so to speak. This is a kind of half-way house between living fully within the neoliberal swamp and stepping completely outside. It´s practical and pragmatic, and relatively easy to do. Moving on to approaches for stepping outside the swamp, I see several cracks in the perimeter walls. While protest has sadly not had much success in holding back the march of neoliberalism, and voting even less so, both remain essential. They act to limit some of the most egregious excesses of dehumanization, inequality and abuse of power. They have also proven to be a practical strategy for chipping away at the congealed norms promoted by conservatism and thereby increasing individual freedom. It´s notable that in areas of ideological difference between neoliberalism and conservatism, neoliberalism normally comes out the winner. Sure, it is not always immediate, but in the longer term it seems to be the case. We can exploit this inherent tension between the individualistic freedom championed by neoliberalism and the restrictions on freedom championed by the forces of conservatism. Gender seems to me to be the leading edge of this battle, and it’s a battle we´re slowly winning (in the west). Individual human rights, too, are progressing. It´s important to note that both conservatism and neoliberalism, for different reasons, are generally hostile to group freedoms. Protest organizations and (especially) protest camps, in addition to fighting for change, sometimes provide a lived example of community and can illuminate the possibilities of a love-based, cooperative social model. How much chance this has to blossom depends on the hostility of the state to protest. 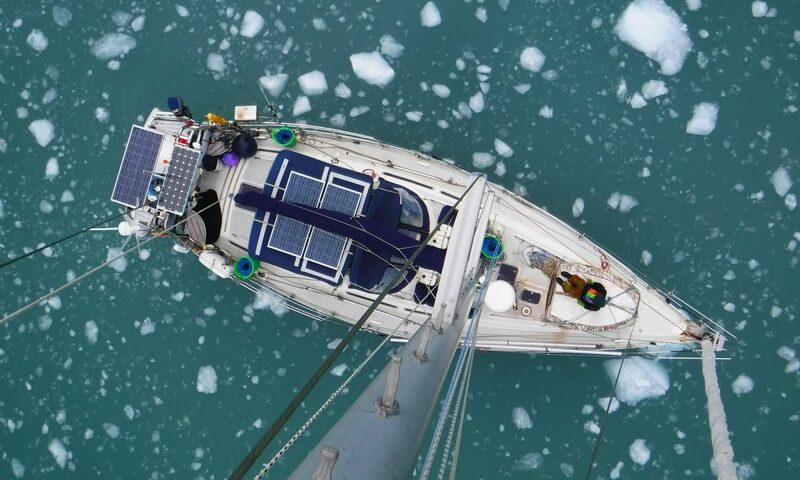 Although more controlled than previously, it´s still quite easy to move a sailboat between countries (with a few exceptions) and there is little interference in how life is lived on board. Travelling by camper van or motorcycle is similar, although crossing borders would seem more challenging. By no means are all nomads outside late stage capitalism – it is quite possible to practice nomadic life as tourist consumerism. But some live a life of love, trust, learning, connection, mutual assistance, community and giving back. There are long term travellers who camp, volunteer, couchsurf, squat and hitch-hike. Some move from festival to festival, others trade volunteer work for a place to stay. Affinity groups, like punks, anarchists, environmental activists, Rainbow Gatherings, LGBT, etc, provide community and a network of contacts. By frequently moving between countries (or even places within the same country) it is quite possible to live according to a different set of values. Nomadic life means not being in a place long enough to be subject to substantial government / social interference, and when oppression starts or tedium sets in, move on. In other words, it´s hard to hit a moving target. There are plenty of intentional communities in the world, experiments in how to live together. There´s no single model: each community is unique, each has something to teach. They provide concrete examples of alternative ways of living. Many communities are small, and a lot start and don’t survive. But some are large and have lasted a long time (Tamera in Portugal, The Farm in the US, Damanhur in Italy, Auroville in India … to name a few). Others popped their heads too much above the parapet (possibly as a result of internal issues) and crashed and burned – Rajneeshpuram in Oregon, Freidrichshof in Austria, and Bauhütte in Germany come to mind. Of course, not all communities are free – some are deeply hierarchical and restrictive, even oppressive, but thankfully this is not a necessary condition of community. The idea that the collective good interferes with the individual´s right to self determination is also false. Individual fulfilment is inherently social – we exist in an environment of others. Love too is inherently social – whether platonic. romantic, familial, societal, planetary … it is always about more than the self. As with old-style religious communities, avoiding being a threat to political power helps with survival, and in the neoliberal world presenting oneself as making a lifestyle choice may be sufficient to achieve that. It seems that communities need to straddle a line – causing no unnecessary offense to conservatism while not directly challenging the economic hegemony of neoliberalism. Not a pleasant feeling, but pragmatic. These ideas are not intended to be comprehensive, nor are the areas mutually exclusive. A nomadic community – why not? A community of protestors? Nomadic protesters? And surely there are other categories and combinations. Stepping out of the swamp raises the perennial question of funding. It´s easy to say, as Raoul Vaneigem did, “Who wants a world where the guarantee of freedom from starvation means the risk of death from boredom?” But … we do need to eat. While living outside requires much less money (I personally know of several people living well on less than $5,000 per year, and many more under $10,000 per year) it remains necessary to have some funds available. Temporary work, trading, crafts, work exchange … there do seem to be options that don’t involve becoming a wage slave. Without independent financial means, life outside is going to have its challenges. But compared to dull grey life-sapping survival inside (regardless of one´s level of affluence) a life without deadtime, a life of enjoyment without artificial restraint, of love and contribution, seems far preferable. When one encounters people who have consciously chosen such a path their smiles and joy of living are notable. And it´s encouraging, for those of us unwilling to be actively or passively complicit in the dystopia, that the possibility to choose life has not been completely closed off. I make no claim that this essay is new or innovative – it is not. It includes thoughts and sometimes actual words of many brilliant thinkers and writers, and also builds on ideas forged in conversations with friends. I would struggle to make a comprehensive list of all whose shoulders this essay stands on, but a partial list includes Michel Foucault, Hakim Bey, Guy Debord, bell hooks, Michel Onfray, Bob Black, Dieter Duhm, Raoul Vaneigem and Charles Eisenstein. There are surely many more.